The strapless neckline is decorated with beautiful beaded lace which covers almost the entire bodice of the gown. 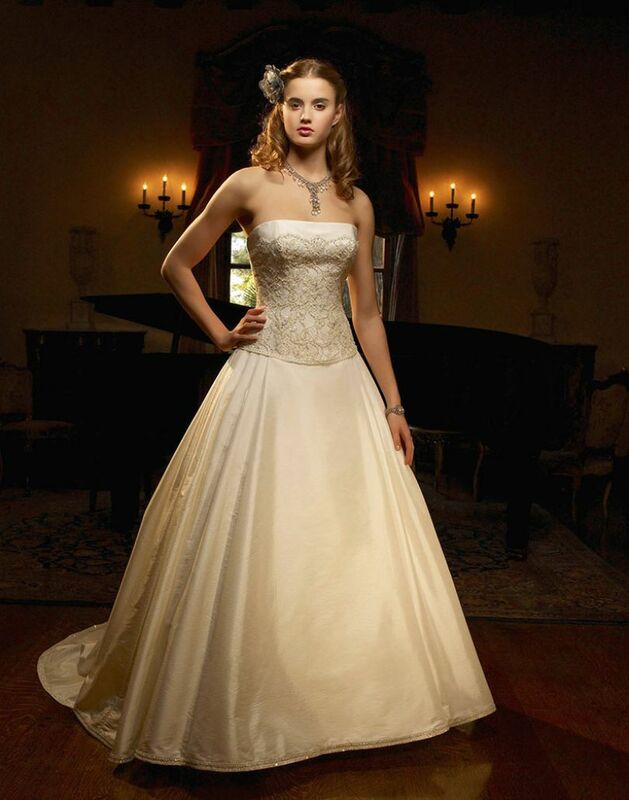 The back bodice features a corset back for a very traditional look. The skirt has pleating on each side which adds just the right amount of fullness. This timeless creation is finished by a double row of thin beaded trim at the hemline which matches the single row of beading at the waistline.